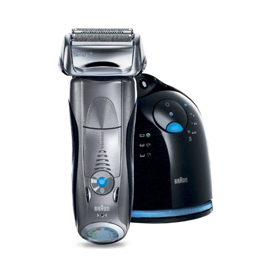 A battery powered electric razor and hair trimmer that can be utilized to maintain one’s facial grooming. More importantly, this decreases the risk of cutting oneself associated with manual razors. Simply glide the machine over the hair until it is removed.